Judo was created as a physical, mental, and moral practice in Japan in 1882, by Kanō Jigorō. Judo is a modern martial art which has evolved into a combat and Olympic sport. Its most prominent feature is its competitive element, where the objective is to either throw, pin, or submit an opponent. Strikes and thrusts by hands and feet, as well as weapons defenses, are a part of judo but only in forms, or Kata, and are not allowed in judo competition. Practitioners of Judo (Jūdōka) are ranked according to skill and knowledge of the art. Their rank is indicated by the color of belt that they wear. There are two broad categories of rank: those who have attained a level of competency at which they are considered worthy of a black belt and who hold dan grades and those who are yet to attain that level and who hold kyū grades. Those who hold dan grades are collectively termed Yūdansha (literally "person who has rank") and those with kyū grades are Mudansha, literally "person with no rank". So don’t settle for a lesser program that lacks the complete multi-discipline grappling system we offer. Don’t settle for a grappling program that attempts to pass off sub-par instruction, a sub-par curriculum, and a sub-par facility – they will only provide sub-par results. Come join the program with expert instructors who are committed to helping you reach your goals and who have the knowledge, skills, tools you need. Come join the program with proven results! Come join Manassas Judo Club! DOMINION BJJ features the Manassas area's best Judo program. Our classes are taught by 2nd Dan Kodokan Black Belt Victor Matamala. With over 20 years of Judo experience, Victor is able to provide both beginner and advanced students with expert level instruction in fundamental Judo techniques as well as instruction in competition variations, competition strategies and time tested training protocols. 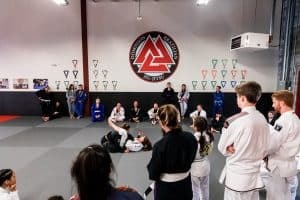 Whether you are interested in training Judo for self defense purposes, as a means to get in shape, in order to round out your Brazilian Jiu-Jitsu or MMA skills or if you have aspirations of becoming a top-level Judo, BJJ, or MMA competitor, our Judo program at DOMINION BJJ will exceed your expectations. 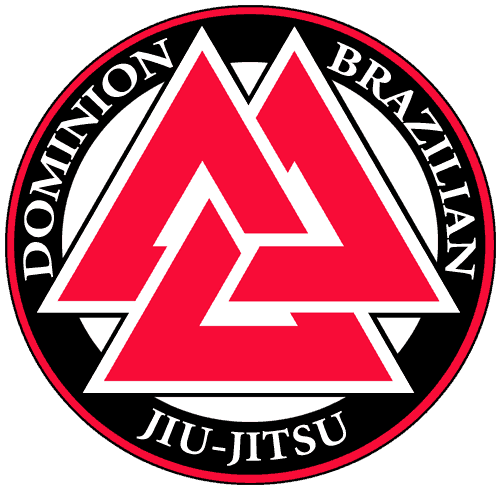 At DOMINION BJJ our grappling at doesn’t end with our Brazilian Jiu-Jitsu program. Our very own Manassas Judo Club features a top-notch program led by 2nd Dan Kodokan black belt Victor Matamala. Our Judo program will teach you how to bring down your opponent with a devastating combination of throws, trips and foot sweeps while using maximum leverage and efficiency. receive expert instruction from experienced competitors. train with others of similar experience and skill level in a friendly environment at just the right pace for you. join of team of like-minded, goal oriented individuals. enjoy convenient evening and weekend Judo classes to suit almost any schedule. So don’t settle for a lesser program that lacks the complete multi-discipline grappling system we offer. Don’t settle for a grappling program that attempts to pass off sub-par instruction, a sub-par curriculum, and a sub-par facility – they will only provide sub-par results. Come join the program with expert instructors who are committed to helping you reach your goals and who have the knowledge, skills, tools you need. Come join the program with proven results! Come join Dominion BJJ!